How Do Honda CR-V Safety Features Improve Your Drive? 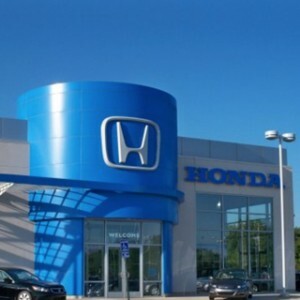 How Do Honda CR-V Safety FeaturesImprove Your Drive? 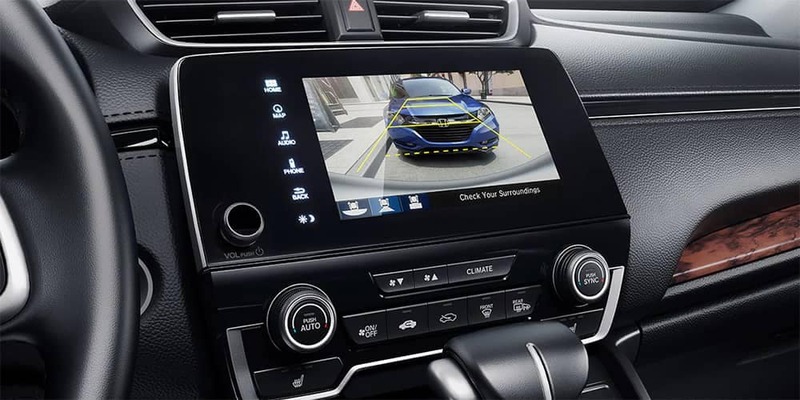 Advanced 2019 Honda CR-V safety features and one of the toughest and smartest body structures combine to achieve a Top Safety Pick rating from the IIHS. 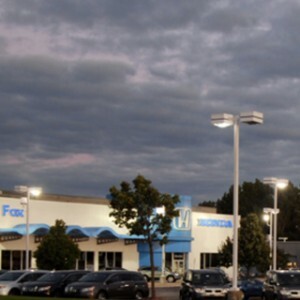 As a compact crossover SUV so popular with American families, it naturally puts peace of mind front and center, so you’ll have everything from the latest driver assistance features to leading active safety technologies enhancing your awareness, improving control, warning you of danger, and even acting independently to keep you from harm. For those who like to head off-road or go out during adverse weather conditions, the Honda CR-V’s Real Time AWD with Intelligent Control System™ is available to maintain traction across loose terrain or wet, slippery roads. 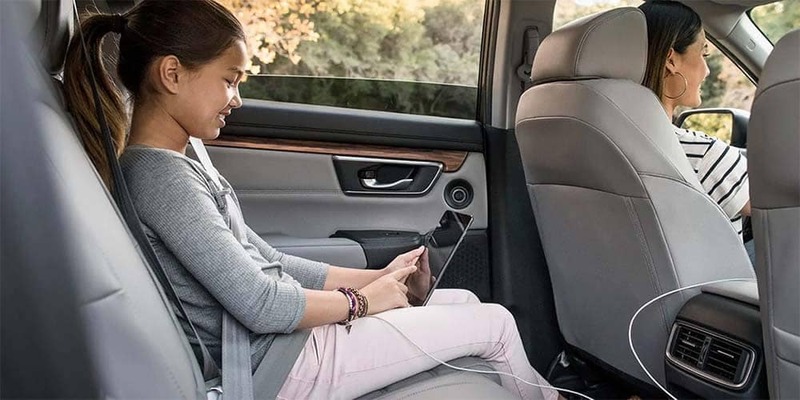 Everyone inside the spacious Honda CR-V interior will be protected by the vehicle’s Advanced Compatibility Engineering™ (ACE™) body structure, which in the unlikely event of a collision, crumples intelligently to direct harmful impact forces away from the passenger compartment. It’s that kind of the engineering and attention to detail that helped see the Honda CR-V score a Top Safety Pick award from the IIHS. 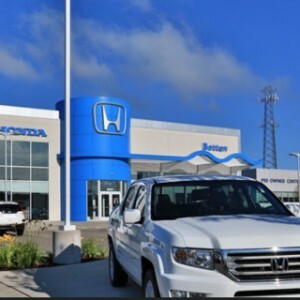 As noted by IIHS-HLDI President David Harkey: “We challenged manufacturers to provide the best possible protection in a range of crash scenarios and equip vehicles with an automatic emergency braking system to avoid crashes”. 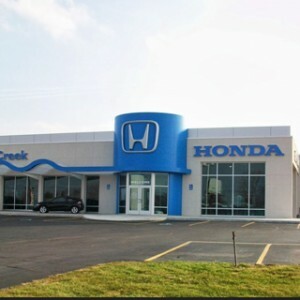 The Honda CR-V delivered to a tee. 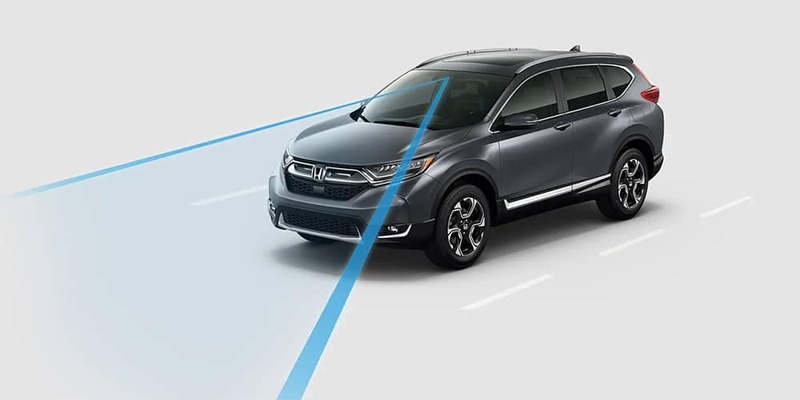 All Honda CR-V trim levels save the entry-level LX bring state of the art Honda Sensing driver assistance technology as standard to optimize safety wherever your journey takes you. Forward Collision Warning (FCW): Scans ahead to check for potential collisions, providing an alert when one is sensed to give you time to brake. Collision Mitigation Braking System™ (CMBS™): Applies the brakes automatically when a frontal collision becomes imminent to reduce impact severity or avoid an accident entirely. Road Departure Mitigation System (RDM): Lets you know when you’re leaving the road by reading common markings and providing an appropriate alert. Adaptive Cruise Control (ACC) with Low-Speed Follow: Adjusts your preset cruising speed up and down automatically to maintain a safe distance from the vehicle ahead. Lane Departure Warning (LDW): Provides a warning if you deviate from your chosen lane without signaling. Lane Keeping Assist System (LKAS): Applies corrective steering pressure if you fail to correct your course after the Lane Departure Warning system provides an alert. Auto High-Beam Headlights: Enjoy proper visibility without having to turn your high beams on and off as other vehicles approach and pass – the Honda CR-V takes care of that for you. 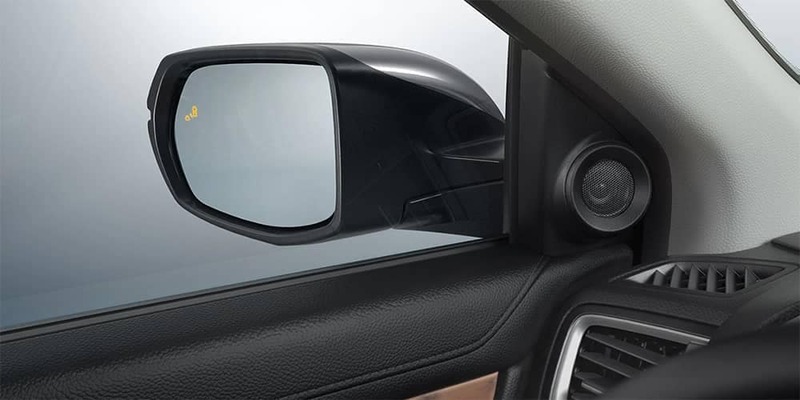 Blind Spot Monitoring System (BSI) with Cross Traffic Monitor: The blind spot monitor lets you know when vehicles enter your blind spot and sounds a warning when you attempt an unsafe lane change. The cross traffic monitor scans to either side when you’re reversing at low-speed. Whether tackling long journeys on the highway or swinging through the city, the Honda CR-V is always at work to keep you and your passengers protected from harm. 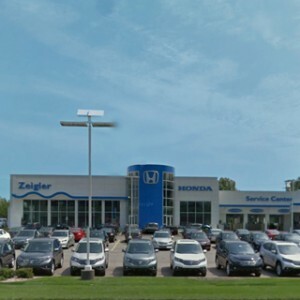 To find out more, check out cargo space, or explore the latest special offers, feel free to contact us directly or visit your local West Michigan Honda dealer.